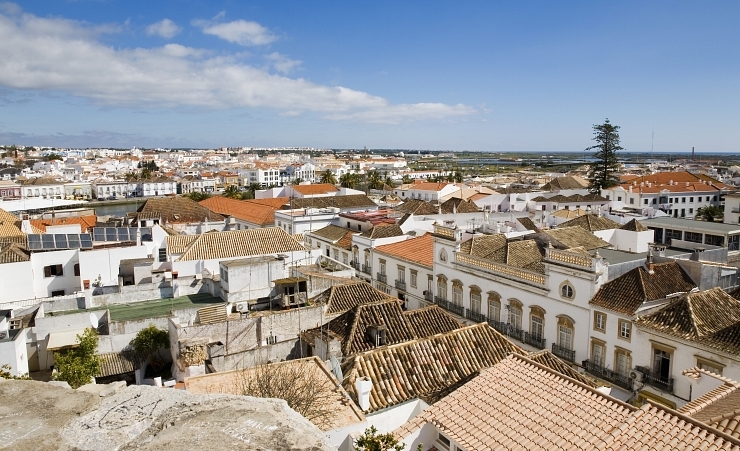 With its timeless atmosphere, traditional character and dignified charm, many consider the riverside town of Tavira to be the most pleasant and picturesque in the Algarve. Some of the Algarve's most stunning beaches are only a few miles away. The Algarve region of Portugal is the sunniest, driest, and warmest part of the country, although it is rarely unpleasantly hot. Sea temperatures here are also warm. The region has a typical Mediterranean climate. Winters are mild, and have higher rainfall, although this is still very low - the maximum is 70mm in the month of Jan, June - Aug have the lowest rainfall with just 1mm per month!